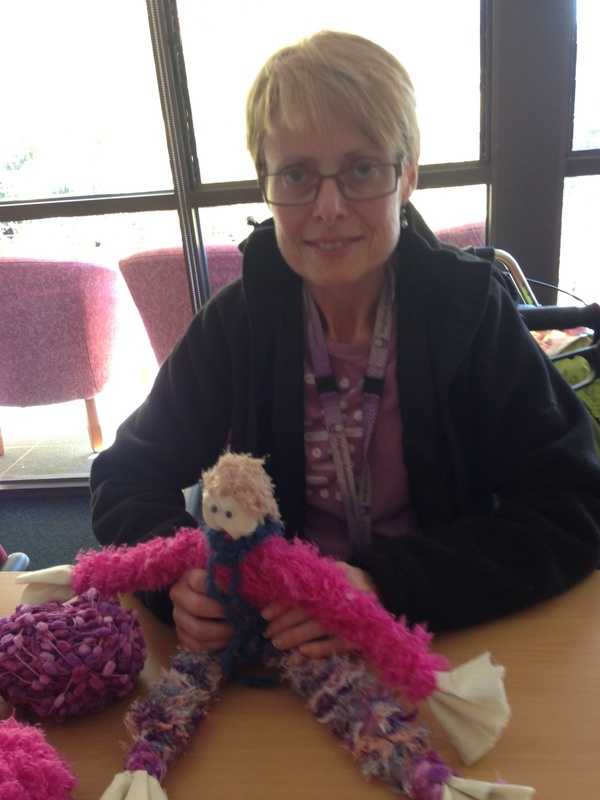 A wishing doll…..the fun things we get up to in art! Each week we have a wonderful volunteer who comes in to the ‘establishment’ & we do some of the most creative activities you can imagine. I love it, I look forward to art each week as we never quite know what amazing things we are going to create! Before I started art & particularly in the early days of doing art, you would often hear out of my mouth ‘I can’t do this, I’m hopeless’ & our wonderful teacher would always quickly bounce back with her classic response ‘of course you can, NOTHING is wrong in this class, whatever we create is wonderful’. When I was at school, art was certainly not my favourite subject, nor were the teachers my favourite people, so even though it was something I was interested in exploring I was certainly nervous. It has been so interesting for me since we have had the volunteer that we have been so blessed to have, slowly my fears are beginning to fade & I am even starting to believe that perhaps I can create “things” & maybe they are not so stupid after all! We have made clay people and pots & I have even painted a modern aboriginal painting which I might just take a photo of & add it to this post. It took me months to complete as there was so many dots that needed to be painted! 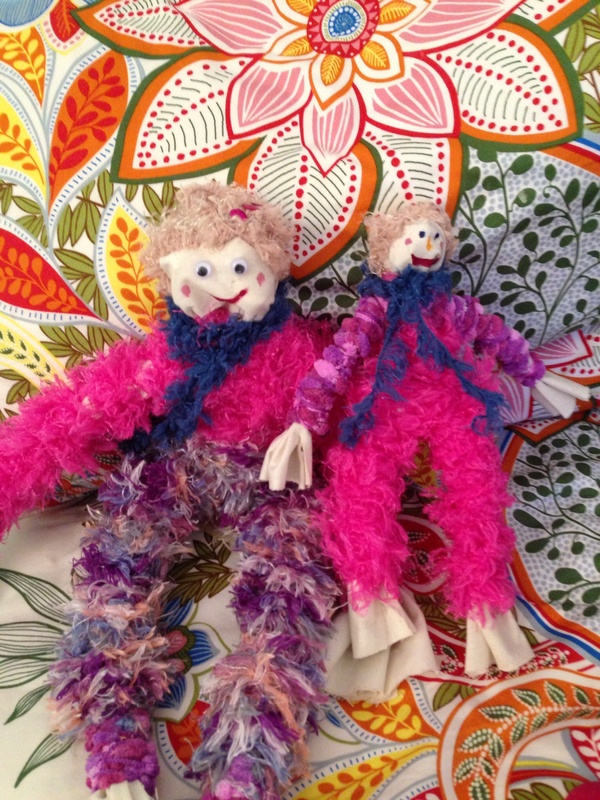 BUT……..the most exciting & fun thing thing to date was what we did today & that was the making of the wishing doll. First of all we had to write on a piece of paper a positive wish & desire we have, but not something we would share with anybody else. Once we had done that we had to screw it up into a ball & that was placed inside the calico & became the head of the doll. From there we proceeded to make the arms & legs out of wool & even the hair & socks were made out of wool. It was so much fun & the finished product was so effective, I thought I had to write a post & include a photo. My biggest issue now is thinking of a name for my wishing doll, but I thought maybe some of my followers could help me with that…….so any ideas people just let me know through the comments section! The whole idea behind art & craft is for it not to be a time when everyone compares their work with each others & for it almost to be a competition on who can produce the ‘best’ work. There is none of that, it is a time for each of us to relax & explore our skills & talents (if there are any!!!!!) & just simply enjoy the time & learn to appreciate how much pleasure we can get from all different forms of art. 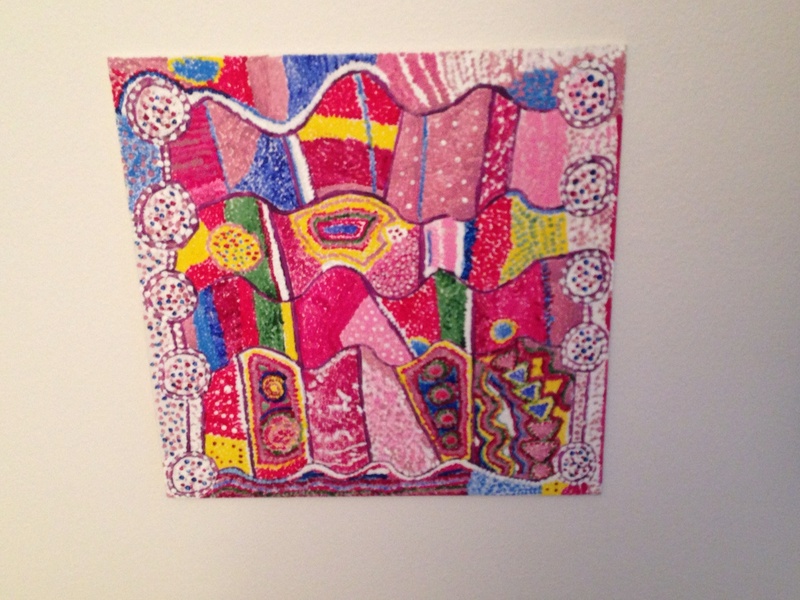 The photos below are of firstly my unnamed wishing doll & also I thought I would include a picture of my aboriginal painting.